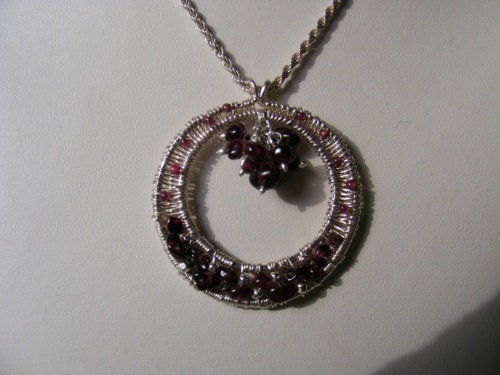 This unique pendant on a chain is made with deep garnet stones that resemble the color of a fine Merlot wine. Piece measures 1 1/2" round and has been wire woven with fine silver. Makes a real statement! Comes on an 18" sterling silver chain.